Thanks to increasing levels of debt financing for climate-aligned projects, wind-generated power has become one of the fastest-growing green industries. Jessica Williams, an Infrastructure Analyst at S&P Global Ratings, considers the submarine technologies that are making this progress possible. Renewable energy is making an increasing contribution to the electrical grid. By the end of 2016, “green energy” sources accounted for almost a quarter of the world’s electricity supply, according to REN21. Wind power has contributed significantly to this shift and is second only to hydropower in terms of renewable capacity. And largely thanks to de-carbonization efforts worldwide, wind energy’s market penetration is increasing; the Global Wind Energy Council (GWEC) estimates global capacity will reach 817 gigawatts (GW) by 2021, a 68 percent increase from 2016. A strong pipeline of technologies is driving this growth. As the technologies improve, this pushes down costs, making wind energy more viable. For example, enhanced technology allows for bigger wind turbines and foundations, which increases manufacturing and production efficiency. Taking advantage of these efficiency gains, undersea cables are thereby addressing the challenges of inconsistent supply and demand; they enable power generated offshore – or in remote geographical locations – to be transmitted to the urban areas that need it most. Take the state of New York, for example, which has four densely populated counties, two that are part of New York City, located on Long Island. The island faces significant challenges meeting its substantial electricity demands due to legacy issues of gas and electric transmission constraints, as well as limited geographical access to renewable alternatives (such as solar or wind). Nonetheless, New York State has made renewable development a primary policy goal under its Clean Energy Standard – which mandates that 50 percent of its electricity originates from renewable sources by 2030. So, although the target is ambitious, New York State’s carbon reduction goals are flexible enough to incorporate green energy transmitted from elsewhere. This is particularly significant for Long Island, which benefits from the Cross Sound Cable, an undersea transmission line that transmits excess clean electricity across Long Island Sound from renewable-rich New England. In addition to its vast hydrologic and wind resources, New England has its own state-level carbon reduction policies that date back over a decade. The Cross Sound Cable can transmit 330 MW of hydrologic and wind power originating in New England to Long Island, which equates to substantial carbon savings on par with about 600MW of wind capacity. Ultimately, this not only provides Long Island with enhanced grid stability but it also provides a use for New England’s excess wind energy. In Europe, comparable projects are underway. For example, the Western Link initiative – a £1 billion project located in the U.K. – will transmit electricity generated by Scotland’s abundant onshore and offshore wind resources to England and Wales using undersea and underground cables. Similar to the Cross Sound Cable, the Western Link is also bi-directional. This means that, while these cables enable certain areas to benefit from excess renewable power generated elsewhere, electricity can also flow in the opposite direction, according to electricity supply and demand requirements. In turn, this promotes grid stability at both ends – and the longevity of the cable. 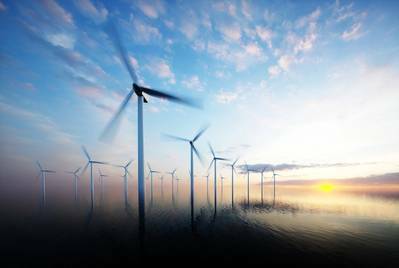 In Germany, the transmission system operator (TSO) TenneT Holding B.V (TenneT), has raised €1 billion of green bonds to finance transmission lines connecting offshore wind projects in the North Sea to the German grid. Indeed, an increasing number of projects in the North Sea are contributing to impressive European wind power growth; according to WindEurope, the region enjoyed a record year in 2017, adding 14GW to the renewables grid. In the Asia Pacific area, too, a substantial proposal is underway. The Asian Renewable Energy Hub encompasses 7,000 square kilometers of land in the East Pilbara region of Western Australia, and is set to house both solar and wind power generation facilities for the purpose of transmitting the energy produced to South East Asia. The Asian Renewable Energy Hub entails the construction of 1,200 300m-high onshore wind turbines, with a further 2400MW from solar panels – all of which will be exported via high voltage undersea transmission cables to Jakarta and Singapore. The project will generate power for 7 million homes in Indonesia, and will offset almost 1 billion tons of carbon emissions over its lifetime. However, due to the speed of technological development, there is ever-changing technology risk to consider – as well as the environmental impact of construction and implementation. For example, with more robust undersea cables come greater distances to shore and harsher sea conditions – two important considerations when it comes to both the construction and operation phases of offshore wind projects. These risks become accentuated when there are discrepancies between the technologies proposed at the bidding phase and those that are, in fact, installed during the construction phase. Indeed, some German utilities – in structuring their assumed costs – have put their faith in technology improving between now and 2021, when future offshore wind projects will be built. Reducing environmental impact at the construction phase of a wind project is a key priority, too. For this, comprehensive environmental impact assessments (EIAs) and low-impact construction techniques – such as soft start procedures and noise reducing technologies – can be employed. The TenneT projects in Germany are a case in point. As well as enhancing the usability of sustainable energy, TenneT aims to minimize the physical impact of its North Sea-based operations. On top of using EIAs and low-impact technologies, all contractor ships installing the TenneT undersea transmission cable must attain certification to prove that they do not discharge effluent into the sea. 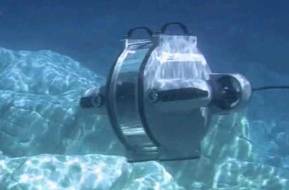 Ultimately, undersea cables are enabling the distribution of renewable energy to areas that can benefit. These projects could help to drive a global shift in the power grid, which may see an increasing number of homes and businesses make fuller use of renewable energy sources – thereby reducing their carbon footprints. Jessica Williams is an analyst at S&P Global Ratings. Environmental and climate risk research focused on energy transition and storage, climate policy and ESG risk.